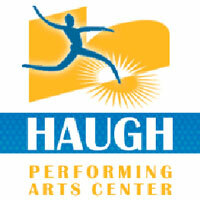 The Haugh Performing Arts Center (HPAC) is a 1440-seat proscenium venue located on the 100-acre campus of Citrus College. Situated in the heart of the beautiful San Gabriel Valley, HPAC is host to over 140 performances annually, with over 100,000 patrons in attendance. Spacious continental seating affords patrons excellent sight lines and ample leg room, with no seat more than 90 feet from the stage.